The USBPNLAFAM2 2ft Panel Mount USB Cable provides a well-secured, easy to access USB-A port on your PC or on a faceplate, allowing you to customize your systems to suit your needs. Perfect for podiums, kiosks and other solutions where added access to USB devices is required. 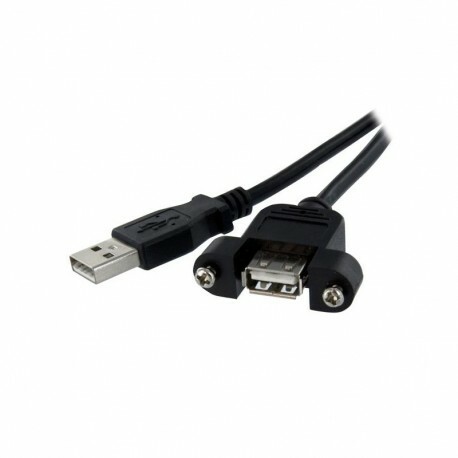 The adapter features one male USB-A connector and one female panel mount USB-A port and gives you an extension of 2ft, enabling you to place the cable as needed within the system case. The USBPNLAFAM2 is backed by StarTech.com’s lifetime warranty for guaranteed reliability.